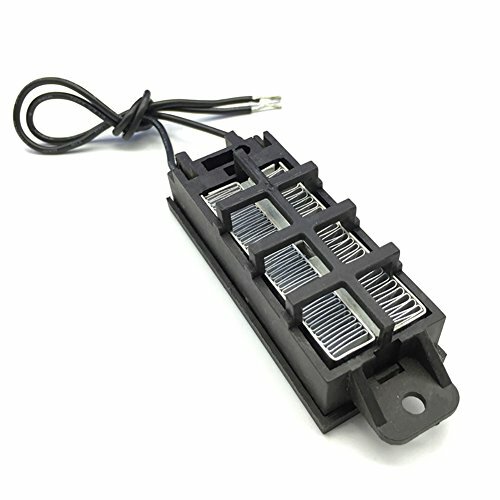 Main purpose:heater / humidifier / auto / air conditioning / incubator / subway and other common electrical / Universal Heater Instruction manual: 1, the power line does not distinguish between positive and negative, you can freely link power 12V. 2, when the heater is dry, low thermal efficiency, it is recommended to use with the fan. 3, can be placed under a wet environment, but can not be placed in water. 4, for the first time, will produce a small amount of smoke, is a normal phenomenon, it will disappear within a short time. 5, built-in 230 degrees Celsius heater chip, when dry the surface temperature of about 200 degrees Celsius, the fan blowing, the surface temperature of about 120 degrees Celsius. 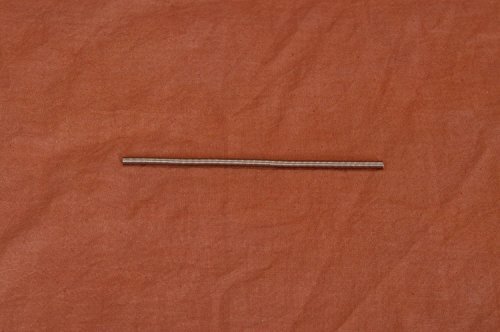 6, both ends of the product wearing bracket (PA66 high temperature nylon) 7. Test: Ambient temperature 24 degrees Celsius, the wind speed: 3.3 m / s, distance from the outlet 10 cm. Hot air temperature of about 50-60 degrees Celsius. 8, under normal circumstances, PTC heater in a very short time after the start, it will have an impact power, which is about 1.5 to 3 times the rated power, but will rapidly decline, which is normal. Please buyers understand! 9, Life: about: 3--5 years. 100% brand new and high quality Features: Simply remove the damaged heating element and replace with new one. Can also be used for DIY incubators Application: Heating element replacement part for incubator, brooder,etc Heating plate only, other accessories demo in the picture is not included! 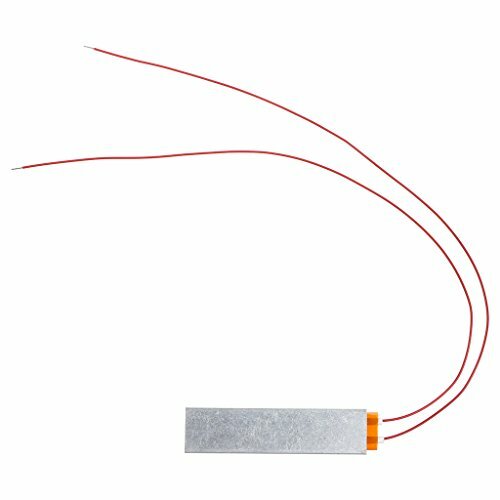 Specification: Voltage: 110V or 220V Main Material: Metal Size: app.8cmx1.8cm/3.15x0.71'' Main Color: Silver,As the pictures shown Quantity: 1 Pc Note: 1.Transition: 1cm=10mm=0.39inch 2.Please allow 1-3cm error due to manual measurement. pls make sure you do not mind before you bid. 3.Due to the difference between different monitors, the picture may not reflect the actual color of the item. Thank you! 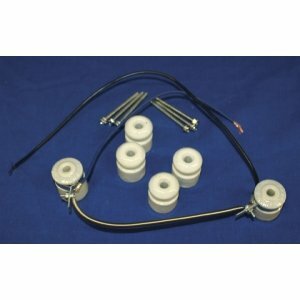 Features: Simply remove the damaged heating element and replace with new one. Can also be used for DIY incubators Application: Heating element replacement part for incubator, brooder,etc Heating plate only, other accessories demo in the picture is not included! 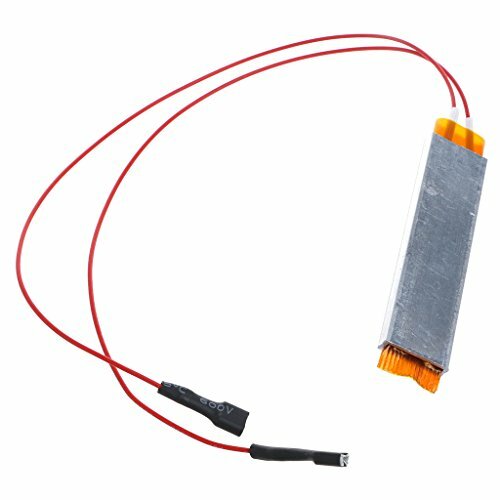 Specification: Voltage: 110V or 220V Main Material: Metal Size: app.8cmx1.8cm/3.15x0.71'' Main Color: Silver,As the pictures shown Quantity: 1 Pc Note: 1.Transition: 1cm=10mm=0.39inch 2.Please allow 1-3cm error due to manual measurement. pls make sure you do not mind before you bid. 3.Due to the difference between different monitors, the picture may not reflect the actual color of the item. Thank you! This is a simple video showing how to use 125 watt heaters in an egg incubator. 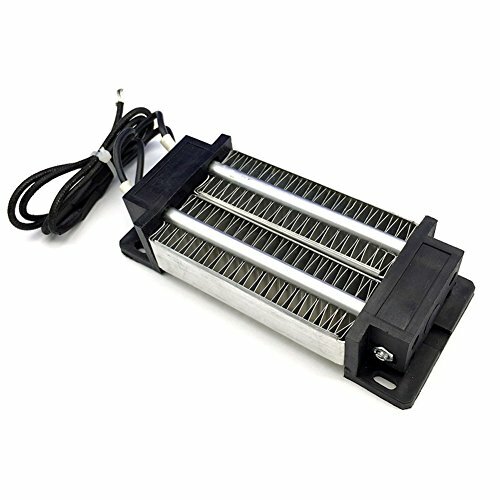 Compare prices on Heating Element For Incubator at ShoppinGent.com – use promo codes and coupons for best offers and deals. Start smart buying with ShoppinGent.com right now and choose your golden price on every purchase.